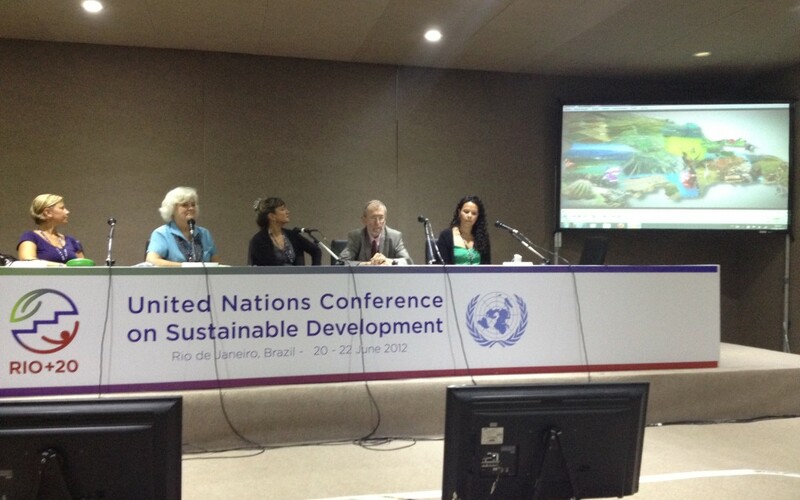 Valuable on-the-ground discussions about community outreach are happening alongside the deep political negotiations at the Rio+20 United Nations Conference on Sustainable Development in Rio de Janeiro, Brazil. Today, the Sylvia Earle Alliance and Global Foundation for Democracy and Development presented, “Oceans in Google Earth as an Educational Tool: A Dominican Republic Perspective,” a real-world example of how to connect the world to the global ocean through technology. GFDD environmental manager Emy Rodriguez took us on an interactive Google Earth tour of the state’s diverse marine environment, rich with singrays and fish cruising along the Dominican colorful coral reefs. In 2009 Google launched Oceans in Google Earth and the “Explore the Ocean” layer, which is curated by the Sylvia Earle Alliance. The layer allows organizations and individuals around the world to populate the Google ocean with videos and pictures that tell the deeply personal stories and unique regional prospective of the ocean. “Having a variety of media content is what makes it work,” said Charlotte Vick, Director of Strategic Partnerships for the Sylvia Earle Alliance. 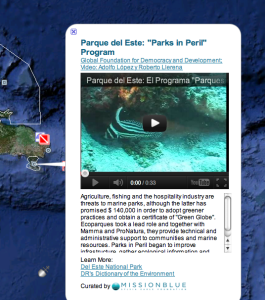 The GFDD Google Ocean project is part of a broader Dominican Republic educational outreach initiative to create greater environmental literacy among its citizens and tourists. This event clearly illustrated that we have the technology to connect diverse people across the globe to the ocean and, these tools are being used to visually teach the world the value of the global oceans in hopes of improving ocean health for future generations. 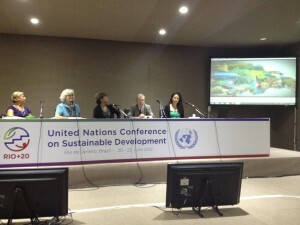 This apolitical Rio+20 side event offered a real-world example of how cutting-edge technology can help advance public awareness about ocean issues and bring about the future we want at Rio+20. The Sylvia Earle Alliance plans to launch Explore the Ocean in Spanish later this year.